Complete with battery for 3 hr operation. 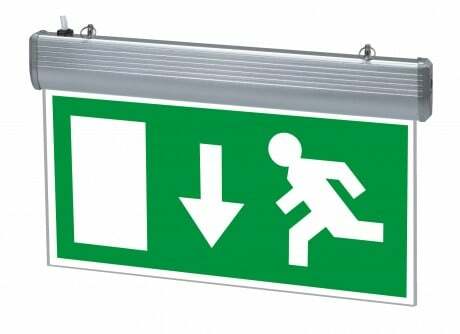 Our 4w maintained LED Emergency exit box sign is an ideal replacement for the traditional 8w fluorescent unit. 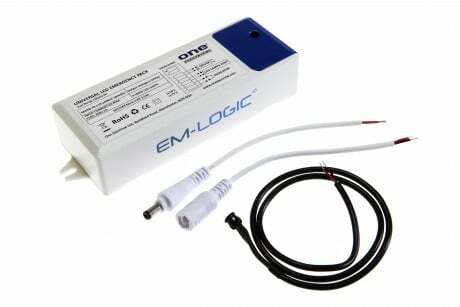 Providing a 60% energy reduction and reduced maintenance requirements. 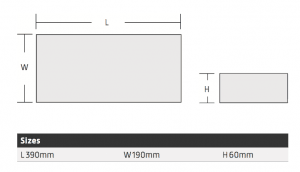 IP20 rated and dimensions of (w)390 x (d)60 x (h)190mm. A colour temperature of 6000k provides a clean modern look.